Please join us for the Silver Lake Land Trust Annual Meeting at 10 a.m., Saturday, August 16, 2014 at Brantwood Camp, Breed Pond Road, Nelson. 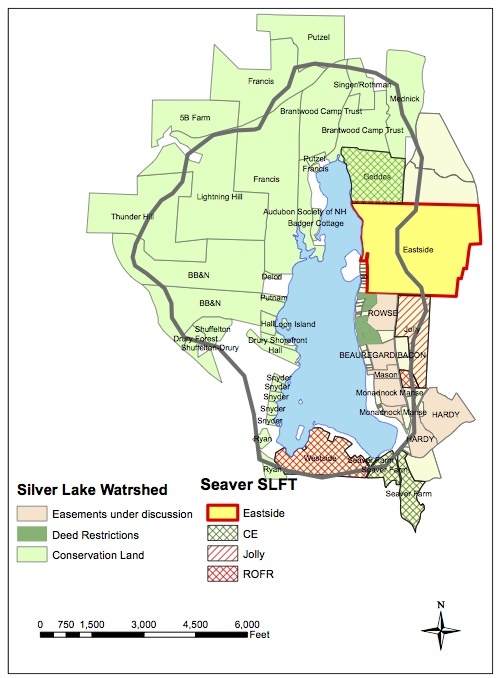 The Silver Lake Land Trust is happy to announce that we have been awarded a $10,000 grant from New Hampshire DES as part of their “Soak Up the Rain” program to help property owners around Silver Lake provide simple solutions to protect Silver Lake’s high quality from pollution carried in stormwater run-off. 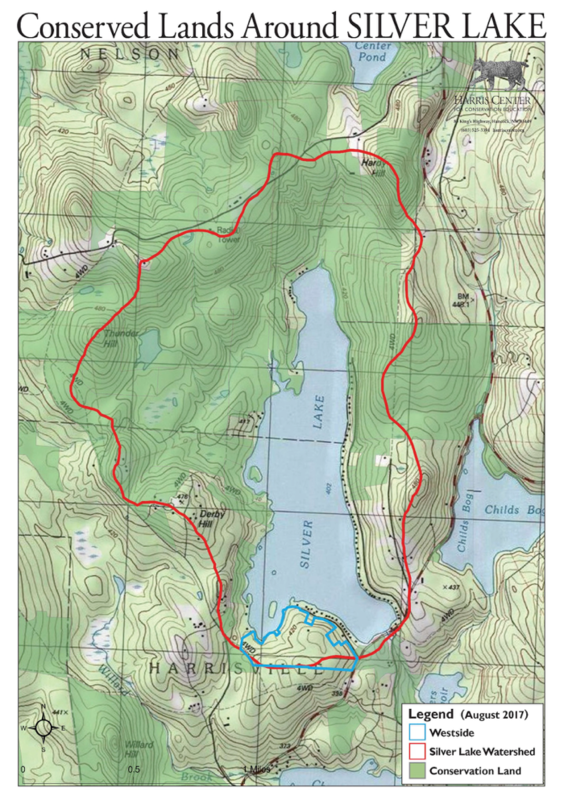 The Monadnock Conservancy is providing an additional $7,750 grant so that their Land Manager and GIS Specialist, Rick Brackett, can help with this project. This is a $17,750 investment in advice and cost-share incentives available to every property owner on the shoreline to act to minimize pollutants carried in stormwater that “runs off” into the lake. This partnership of the SLLT, NH DES and Monadnock Conservancy will target 10 to 15 projects through 2016, each reimbursing on average $500 to $1,000. Work with an NH DES and SLLT team to identify a potential problem at your property and discuss “Best Management Practices” to reduce pollutants carried in stormwater runoff. Implement the approved practice (e.g. rain garden, rain barrel, plantings) with volunteers trained to do the work, or do the work yourself. Submit receipts for work completed and receive reimbursement. Volunteer to learn “Best Management Practices” so that you can help others as well as yourself as part of the solution. See NH DES’s excellent website at soaknh.org to learn more about this grant program and DES’s program to protect and restore clean water in New Hampshire waterways.